As competition in the mortgage market heats up smaller lenders including credit unions are offering better deals. 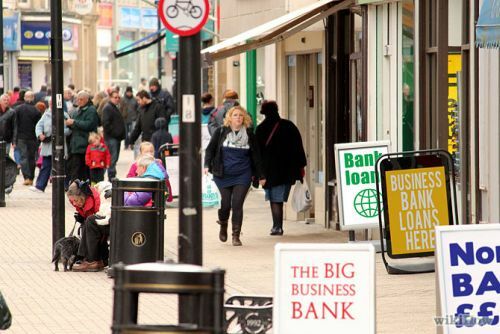 The major banks have cut rates to an average of 2.79 per cent for a discounted five-year fixed rate but some smaller players in the market are offering rates as low as 2.39 per cent for fixed rate and 2.0 per cent for variable deals. Credit unions in particular are able to slash rates due to their structure; with no shareholders to appease they can forego profit in return for gaining new customers. Read the full story. In other news, Credit Unions in this province offer 3.09% - 4.99% (4.99% on rentals). If 2.39% was available we would be destroyed, there is not a single lender offering that rate. I believe it was Warren Buffet that said "price is what you pay and value is what you get". There is no doubt that there is room in this business and every business for different models. This is evidenced by the coexistence of Walmart and Holt Renfrew or Ruth's Chris and McDonalds....all very successful businesses. The world of consumers demand different things and have different ideas of what represents value to them. I am sure there are people out there that would shop for a heart surgeon strictly on price. In my business, price of course is important, but value, advice, and the ability to structure the deal will ultimately trump price most of the time. We all find our niche and there is not just one path to success.